Here We Are At The End Of July And What A Great Summer We Have Had So Far. Yes, There Has Been Plenty Of Rain But With That Rain Has Come Many A Great Blessing. Think About It For A Moment And See The Good It Has Brought To Our Area. Having Gone To The Green Bean Festival In Blairsville Last Weekend, I Could See The Abundance Of Fruits And Vegetables And Without The Rain We Would Not Have That. Our Rivers And Creeks Are Full And They Do Provide For Fishing, Boating, And Swimming Recreation. The Creek In Front Of Our Cabin Is Such A Wonderful Place To Just Sit And Relax Enjoying The Sounds Of Nature. So The Next Time It Rains, Start Planning What You and The Family Can Do When The Sunshine Comes Out Because There Is So Much to do In the Mountains. We At Exit Realty Will Be!!!! With that being said Exit Realty Mountain View Properties wanted to highlight some Events and Festivals in and around our area. Murphy Art Walk presented by The Valley River Arts Guild 5-8 pm. Stroll through historic downtown Murphy for an exquisite visual, culinary, and performing arts experience. Galleries, restaurants, and many other businesses will feature art, live working artists, live performances, music, and fine dining. Visit our juried Artist Market locations where you can meet local and regional artists working live and exhibiting their art. There will be something for everyone! Free and open to the public. For more information call Penny Johnson: 828-494-7403 or visit their website at http://www.ValleyRiverArts.com. Smokey Bear will be 69 years old this year. In his honor, the USDA Forest Service is throwing a birthday party at the Ocoee Whitewater Center on August 6th from 10:00 am to 2:00 pm. Come help Smokey celebrate his birthday and enjoy a fun-filled day in the Cherokee National Forest. It promises to be a fun family day with games, goody bags, fire prevention programs, prizes, and plenty of cake and ice cream. Bring a camera and have your picture taken with Smokey. While you’re at the Ocoee Whitewater Center, you may want to hike or bike the Old Copper Road Trail, watch rafting on the Ocoee River, visit the gift shop, grab a bite at the café, or just take in the scenery from the rocking chairs on the deck. There is no charge to attend other than the usual $3.00 per vehicle day use fee. The Ocoee Whitewater Center is located in the heart of the Cherokee National Forest on U.S. Hwy 64, 6 miles west of Ducktown, TN and 30 miles east of Cleveland, TN. Each year people come from across the nation to compete in this once a year event, and to listen to real Bluegrass music played by numerous bands from all over, and to savor the mouth watering smells and sights of smoking meats of all kinds. There are always lots to do and things to see for the whole family at this wonderful event. The cooking rigs are a sight to behold, and the vendors serving the many foods and delicacies are some of the best in the world. If you would like more information about Exit Realty Mountain View Properties, 1900 US Hwy 64 West, Murphy, NC 28906. Phone 828-837-2288 or Toll Free 877-837-2288. Immaculant 2 Bedroom / 2 Bath Extra Large MFG Home With Front Enclosed Sun Porch & Large Family Room With Gas Log Fireplace. Located on .53+/- Acres. A Great Lakeside Retirement Community. PRIVATE Wooded Lot Beautifully Landscaped With Seasonal Mountain Views. Attached 1 Car Garage Which Includes Attic Storage Space. New Roof Installed In 2013. Many Home Improvements Have Been Made Inside And Outside The Home In The Past Several Years. Amenities Include Nottely Lake Access, Club House, Boat Slips Available, Grounds Care Around Home, Garbage Pickup. A Must See!! Our Home Showcased today is A Must See for the person looking for Mountain Views, Lake Access, and a home MOVE IN READY. It has so much to offer at an affordable price. Amenities GALORE!! This home will move fast so you will want to schedule a viewing with Kathy Vetten at Exit Realty Mountain View Properties as soon as possible. Its just one of the many Kathy has listed. We have many Homes available to choose from and its the right time to invest in Real Estate. Whether it be a Home located on that perfect property or Land you are looking for to build your custom dream on. Kathy will help you find it. We at Exit Realty Mountain View Properties are so thankful for all our clients that allow us to continue providing great service within the town of Murphy, NC , the surrounding areas in North Carolina and Georgia. Without your trust in us we could not continue making Dreams come true. We love our jobs and work hard it. There is a time to work, BUT there must be time made for us all to relax so our minds and bodies can rejuvenate. With that being said Exit Realty Mountain View Properties wanted to highlight some Events and Festivals in and around our area. Have a great week and weekend!!!!!! Rough & Cut Gems, Minerals, Fine Jewelry, Equipment, Supplies, Door Prizes and Demonstrations. Look for discount coupons in local newspapers. Green Bean Festival In Blairsville Ga.
Third Annual Green Bean Festival! Saturday from 7 am to 7 pm. Blairsville celebrates the 2012 Harvest of Green Beans and more… Over 100 vendors including regions top produce, exceptional crafters and artisans, the best in Festival Food, including a Low Country Boil from 4:30 – 7pm, benefiting Alzheimer’s. Farmer’s Market * 5K Race * Bike Ride * Green Bean Pizza-eating Contest * Live Entertainment * Canning and Recipe Contests * Exhibit and Demonstration Area* Petting Zoo* Climbing Wall and Bungee Jumping* Pony Rides* Bushels of Fun for the whole family! Free Parking and Shuttle. There is also a Square Dance on Friday night beginning at 8 p.m. on the Blairsville Square. Annual Car show for Cystic Fibrosis. The Cruise-in on Friday evening from 5PM – 9PM will be held at the Remember When T heater, 115 Escowee St., Helen, GA 30545 Someone will be at the Cruise-In to register cars for the show the next day. Creekfront. Three Bedroom, Two Bath Chalet Style Mountain Home on 3.58+/- Acres of Private And Secluded Property. Wood Floors, Tongue and Groove Ceilings, Custom Kitchen Cabinetry With Extra Large Island. Large Loft Family Area. Master Bedroom With Custom Designed Bathroom. Two Large Bedrooms on Main Floor. Free Standing Wood Burning Stove. Outside Buildings. Property Comes With Stocked Trout Stream. Property Also Joins The Unites States Forestry Service. Lots of Fairy Crosses on Property. The Staurolite Crystal, Better Known As The Fairy Cross, Is A Natural Phenomenon Found In Only A Few Places In The World. Looking for that perfect home in the Mountains that offers all the charm of a secluded cabin yet is loaded with all the amenities a family could want in a DREAM home? Well, look no further. You have found that piece of Real Estate listed by Kathy Vetten at Exit Realty Mountain View Properties. Its just one of the many Kathy has listed. We have many Homes available to choose from and its the right time to invest in Real Estate. Whether it be a Home located on that perfect property or Land you are looking for to build your custom dream home on. Kathy will help you find it. 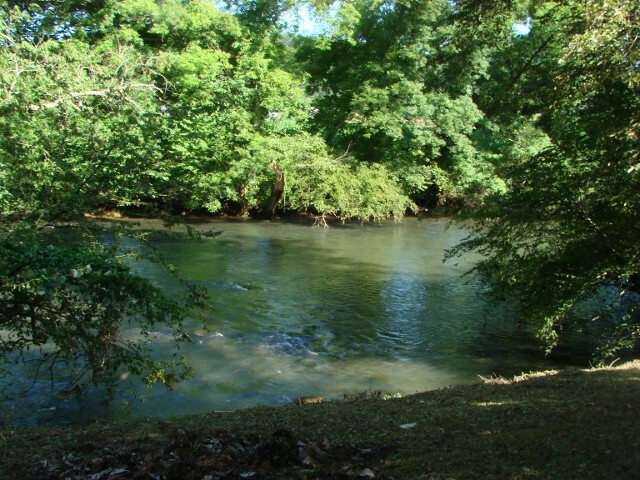 RIVERFRONT Land For Sale, Hiawassee Riverfront Property,septic approved,ready for builder, Tract C has pond that is perfect for that fish pond you always wanted, Catch Fish right from your own private river Bank. Property is level and a perfect home site. Tract C and a Portion of lot 19 can be purchased together or just Tract C for asking price $79,000. First property on Left when entering Hiawassee River Estates, Has Park like setting. Across the River is Mission Farms,perfect for Privacy. Additional Acerage Available with Tract 2 for more privacy ( See ) River Front Property listing NC MLS 117754 SEE BELOW!!!!!!!!!!!!!!!!!! 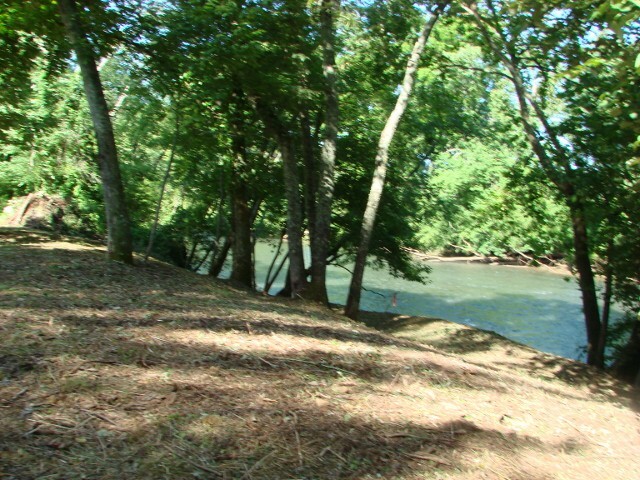 RIVERFRONT Land For Sale, Hiawassee Riverfront Property,septic approved,ready for builder,Tract 2 portion of Lot 19 is Level w/gentle slop to river,Perfect to Catch Fish right from your own private river Bank. 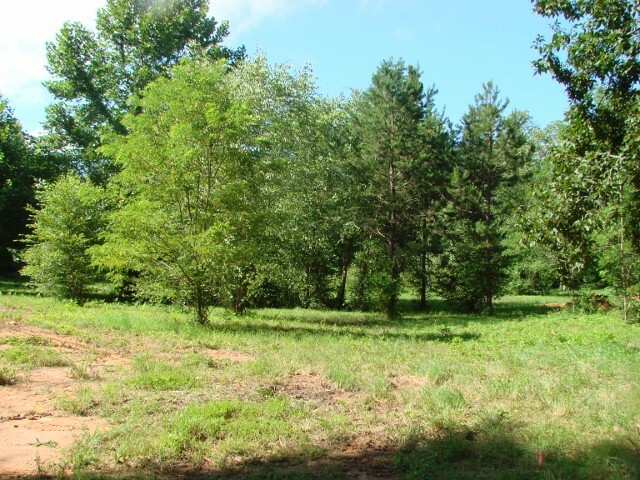 Property is also extended across the paved road, to wooded property for Privacy.Tract 2 can also be purchased with Tact 1 and C. see MLS 117753. Across the River is the Mission Farm Fields for Privacy.Convenient to Town of Murphy & Hayesville NC. Looking for Private Riverfront. This is it. Looking for that perfect piece of Real Estate to build your dream home on? Kathy Vetten at Exit Realty Mountain View Properties Is Able To Make Your Dreams Come True. We have many listings of Mountain Property available to choose from and its the right time to invest in Real Estate due to the affordable pricing. The two pieces of Mountain Property showcased today are some of the most beautiful you will ever see. Kathy Vetten is dedicated to helping her clients find just what they are looking for in Real Estate and has the years of experience to make it happen. Mountain Chalet With Manicured Landscaping, Flower Gardens, Stone Paths Throughout the Garden Leading To Peaceful Sitting Areas And To The Basement Porch. Outside Decks Galore And Screened Porches To View The Property And Mountain Views. Two Bedroom / Three Bath, FURNISHED Home With StackStone To Ceiling Gas Log Fireplace in Great Room. Japanese Cherry Laminate Flooring Throughout. Bedrooms Have Carpet, Bathrooms have Tile Flooring. Fully Finished Lower Level Includes Bonus Bedroom, Full Bath And Family Recreation Room With Gas Log Fireplace. A Great Buy!!! Its a great day in Murphy, NC and Kathy Vetten at Exit Realty Mountain View Properties Is Available To Make Your Dreams Come True. Its the right time to invest in Real Estate due to the affordable pricing and also we can look for a Boom to the economy in Murphy with the New Cherokee Casino coming to Murphy, NC. Kathy has many listings available to show you. Whether you are looking for a Vacation Home, Permanent Home, or even Commercial Property including Income Producing Businesses, Kathy Vetten has the Expertise to help you with your next Real Estate purchase. Everything from Rustic Mountain Cabins, New Log Sided Ranch or Chalet Home and Land Packages, Custom Mountain Homes, and Traditional Homes Located in The Great Blue Ridge Mountains of North Carolina and Georgia. Murphy, North Carolina is a great place to live in because of the many events that take place in and around the area. Day trips just an hour or less away. Craft Shows In Blairsville, Ga., Hayesville, NC, and Blue Ridge, Ga. Many Parks that offer Paddle Boats, Fishing, Swimming and Hiking. We have several lakes and rivers for Fishing, boating, kayaking or just being lazy, floating down the river in a tube.We are approximately two hours from Asheville, Gatlinburg, Chattanooga and Atlanta. FULLY FURNISHED 2Bedroom / 1 Bath Log Sided Ranch Style Mountain Cabin located on .95+/- Acres of Wooded and Mountain View Property. Located in the Beautiful Private Community of Big Rock. Community Pond and Pastoral Meadows Provided for Family Enjoyment. Metal Roofing, Fully Covered 8’X34’Front Porch, Storage Shed, Gravel Road and Driveway.ALL Wood Interior,Custom Kitchen With Granite Counter Tops,Masonry Fireplace With Gas Logs. What a great time to invest in property in Murphy, North Carolina. Its a buyers market and Kathy Vetten at Exit Realty Mountain View Properties has many listings available to show you. Whether you are looking for a Vacation Home, Permanent Home, or even Commercial Property including Income Producing Businesses, Kathy Vetten has the Expertise to help you with your next Real Estate purchase. Everything from Rustic Mountain Cabins, New Log Sided Ranch or Chalet Home and Land Packages, Custom Mountain Homes, and Traditional Homes Located in The Great Blue Ridge Mountains of North Carolina and Georgia.